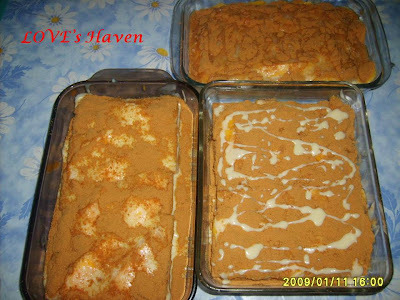 This yummy Sunday is a mango float made by me and my sister. This is the product out of boredom because there were no current due to the bad weather that we experienced for the whole day. SO sad, we were not able to go to church! Thanks God that the rain did stopped just this morning and now we're eating this yummy float. I miss having mango float. I don't like their mangoes here. It's not sweet at all. Your boredom looks as if it produced delicious results. I hope that the weather is much improved.